Eugenia is a glossy leaved shrub or tree, which is often used as a hedge or privacy barrier. The Australian brush cherry is a lovely screening plant that is useful in any area where temperatures do not fall below 25 F. (-3 C.). It makes an excellent potted plant or you can prune it severely and use it as a low border in formal garden settings. An interesting Eugenia plant fact is its relation to the Myrtle family. Discover how to plant Eugenia and enjoy this amazing fruiting plant with superior foliar appeal. The Eugenia genus contains over 1,000 different species. The group is native to tropical regions and cannot survive freezing conditions. Some forms can easily grow up to 20 feet high, but the shrub is easy to keep to a lower habit with annual pruning. Leaves are shiny and oval, with news leaves arriving reddish in hue and changing to green as they age. Brush cherry is an evergreen and performs best in sun but can tolerate partial shade. Eugenia care in well drained soil and proper temperatures is minimal. Caring for Eugenia plants that are potted requires a bit more effort than in-ground plants, but the arrangement allows temperate season gardeners to enjoy this lovely bush. Just remember to move it indoors when chilly temperatures threaten. Eugenia uniflora is probably the most common form of this plant. When it is planted in a warm climate with plenty of sun, the bush may flower several times a year and yield a crop of bright red cherry-like fruits. This variety is called Surinam cherry. Cherry of the Rio Grande is another variety of Eugenia useful for the home landscape. It produces a purplish fruit. Another form, Grumichama, is a large tree with showy white flowers. Pitomba has bright yellow fruit with juicy, soft orange flesh. Other varieties are available by mail order and can be used as exterior or interior plants. Eugenia requires well drained soil. Choose a large pot with plenty of holes in the bottom. Use a good potting soil with generous handfuls of sand added to increase porosity. Young plants may require staking at first, and you can prune them to just one leader if you want the plant to be a standard tree. 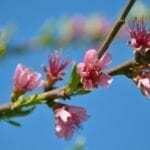 Repot the bush cherry at least every three years and fertilize it in spring. 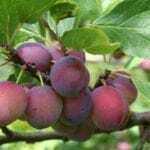 Prune judiciously to remove dead material and keep it in a compact habit. Keep the pot on casters in cooler zones so you can easily move it indoors when cold temperatures threaten. A key aspect of Eugenia care is its need for water. While it can survive brief periods of drought, this plant does best when kept moist but not soggy. Situate the container in full sun when growing Eugenia indoors. Prior to installation of outdoor plants, generously amend soil with compost. Eugenia plants prefer acidic soil. Perform a soil test and mix in sulfur the previous season if your soil is too basic. Till to a depth of at least 18 inches and remove large rocks, roots and other impediments. 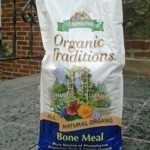 Mix bone meal into the soil before you plant. Dig a hole as deep as the root ball and twice as wide. Push soil around the roots firmly to prevent gaps and water the plant deeply to settle the soil. Make sure you do not plant the trunk below the soil line. Caring for Eugenia plants when they are newly installed means plenty of water and a watchful eye for pests.